Encouraging people to change their behavior through social marketing campaigns can help the recovery of threatened wildlife populations. New research shows that social marketing campaigns play an important role in the recovery of wildlife species, offering evidence that can help conservationists design more cost-effective future campaigns. Social marketing borrows ideas from traditional marketing, but instead of trying to sell a product, it tries to change human behavior. Such campaigns have been successful in promoting actions such as recycling and quitting smoking, and the technique has been adopted by conservationists looking to protect certain species. However, it has been difficult for conservationists to gauge the long-term success of such campaigns, as populations of species may take some time to recover. Now, by examining all the possible drivers of population change, a team from Imperial College London have been able to identify social marketing as a key factor in the recovery of a threatened species. The team, who published their results today in the journal Conservation Biology, looked at the campaign to save the yellow-shouldered Amazon parrot, or lora, a bird native to the Caribbean island of Bonaire. The ‘Rare Pride’ campaign used a mix of marketing techniques, including posters, songs, fact sheets and church sermons to raise awareness about the lora’s threatened status and about the laws surrounding lora ownership, capture and trade. 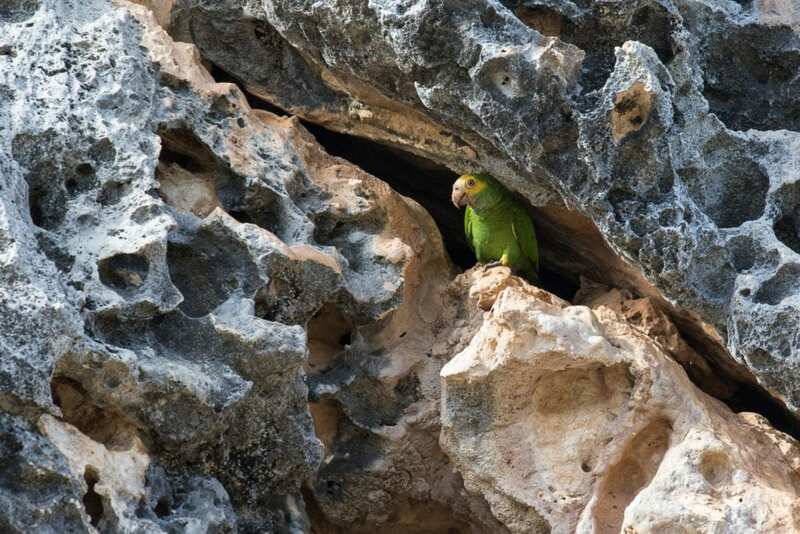 Co-author Dr Morena Mills, from the Department of Life Sciences at Imperial, said: “Twenty years ago, before a conservation campaign was launched, there were more yellow-shouldered amazon parrots in captivity on Bonaire than there were in the wild. The team looked into the potential causes of lora population recovery (such as less poaching), the necessary conditions that would allow each of these causes to affect lora populations (such as existing environmental laws to protect them) and finally whether the conditions for each possible cause were present (such as those environmental laws being regularly enforced). For the final step, the team interviewed representatives from eight stakeholder groups on Bonaire, including veterinarians, tourism professionals, educators, government officials, and local residents.